After taking a tour of Ibis Country Club today and getting an update of all the amazing things to come, I felt the need to share. I truly believe Ibis Country Club's new $33 Million renovation is going to put this country club on the top of the list of all Palm Beach County Country Club Communities. Ibis offers 33 developments in this country club community of single family homes, town homes, and condominiums. Ibis offers 14 tennis courts and a very active tennis community of social players. 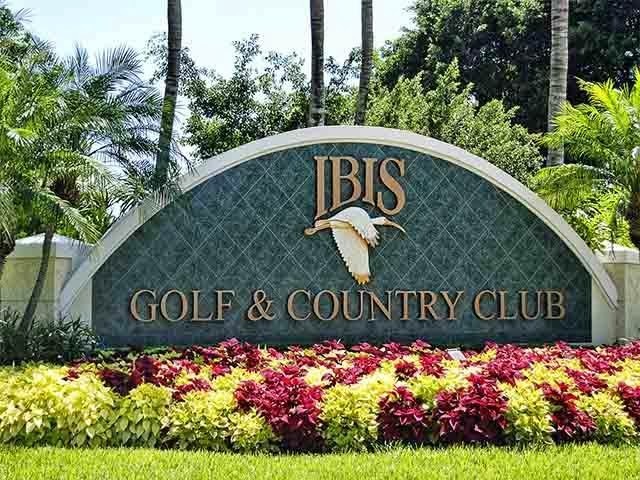 Ibis Country Club's $33 Million Expansion will include a new sports village and a completely renovated clubhouse. The Sports Village already began construction and is expected to be completed at the end of this summer. The Sport Village will be a 2 story 15,000 square foot fitness center, new lap pool, pool side bistro, and brand new spa. The next step to the expansion will be to gut the clubhouse and expand it 23,000 square feet. A new dining room, cultural center, formal dining, library, outdoor terrace, and sports pub will be added to the clubhouse. The Capital Improvement Plan for the expansion is $159 per month for 10 years. Ibis Country Club offers new construction homes built by Emerald Homes, the Luxury Division of DR Horton. Emerald Homes is offering 5 floor plans from 2,500 square feet to 4,000 square feet. These Ibis Homes are built in the section of the Woodlands Priced between the mid $500's to the mid $700's. Lots are 50 x 180 and offer large back yards. The Woodlands offers 98 homes, and there are currently 47 home sites left to built your own perfect property. Where else can you find a new construction home in a beautiful country club community for under $1 Million?